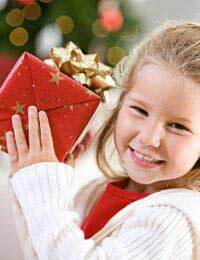 Most children will receive many gifts from relatives over the course of their childhood. Sending thank you letters for each gift will help children learn good etiquette. A thank you letter for a present should always include details of the present. However, these details should come from the child and not the parent. Children and parents should sit together to discuss the gift and what it means to the child, and then work together to pick out details to include in the thank you letter. For some gifts this may mean that parents need to guide children towards details, for example that a new school scarf will keep them warm in the winter or that a new dictionary will help them with their schoolwork, but for others it may mean that parents have too many details of the newest electronic games and only the most pertinent should be used. Parents should take care to help children find their own voice when writing thank you letters rather than giving them a voice to use. While brainstorming, parents should also help children to recognise which details are appropriate to include in a letter and which are not so that as they grow older children will be able to write these letters on their own. Thank you letters from children should be handwritten regardless of whether the children write the letters or parents write the letters for the children. If children are unable to write their own letters then they should be encouraged to sign their name or to add drawings or doodles to help make their mark on the letters. While writing these letters children should be shown how to include salutations and closings as well as how to address an envelope. Depending upon the recipient, thank you letters may also be appropriate in the form of an email or e-card, though these should only be selected if children already know how to hand write thank you letters as well. These thank you letters should be posted so that they can be delivered to the recipient within a week or two of the gift giving. Electronic communications should be timed so that they arrive no more than a week after the gift giving. Thank you very much for my Christmas presents. I know that the scarf and hat will keep me very warm this winter when I play at the park and in the back garden. I also know that my friends and I will enjoy watching the DVDs that you brought me when it is too cold to play outside. I have not seen most of these DVDs before so I am very excited to watch them, and the ones that I have seen I already know that I like and will watch over and over again. Maybe one day you will be able to come over and watch them with me. I would like that very much. Thank you again for all of my lovely presents.